I’m not going to die, I’m going to live forever. Christ Jesus our savior has done it. So we have a future. We are the blessed ones, who need not fear death, but we get to live forever. Imagine it: To live forever. From Isaiah 25 verses 8 and 9, God gave Isaiah a preview of the future, he said, “ he will swallow up death forever. 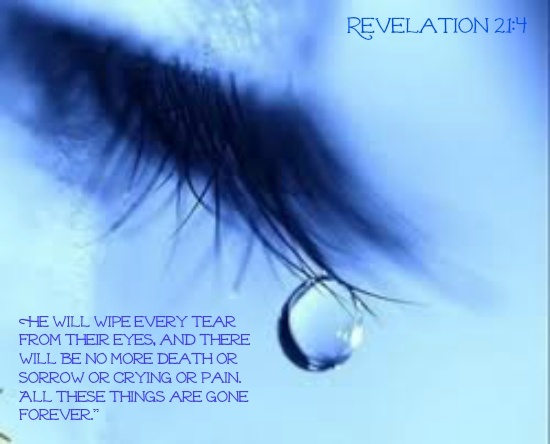 The Sovereign LORD will wipe away the tears from all faces; he will remove his people’s disgrace from all the earth. The LORD has spoken. So in the next life, which the Bible calls the new heavens and the new Earth, we will rejoice. And we’ll be happy. C.S. 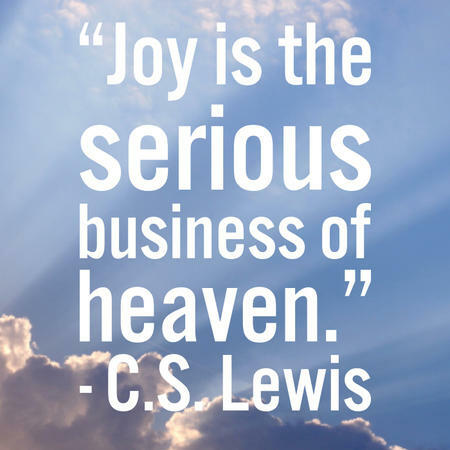 Lewis said, “Joy is the serious business of heaven.” That is the truth. The new heavens and the new earth. This is what we labor for day in and day out. This is why we live differently than the world. This is why we deny ourselves when so many others indulge endlessly. This is why we preach the gospel. This is why we stay up to the wee hours of the morning praying for strangers. This is why we dedicate our lives, our souls, our hope, our futures to a Jesus Christ we’ve never met face to face. 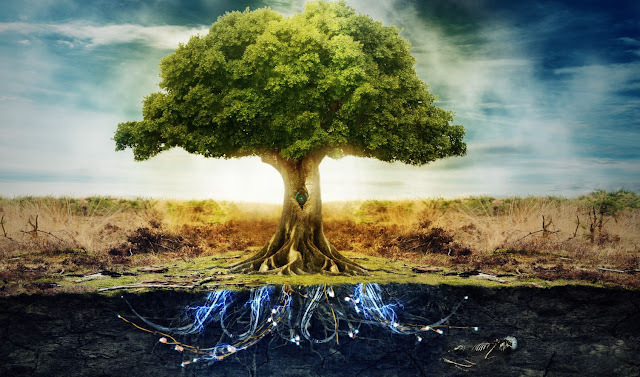 We live day by day for this hope of immortality itself, to gain access to the fountain of youth, the tree of life, in a place where all is made right. Jesus spoke often of this place. In fact Christ is our way there. He is our escape hatch from this broken reality we see around us. I know I can feel it in my life, that things are not the way they should be. It’s like a splinter in the mind, driving us mad. We can sense there is something wrong with the world. Even non-Christians would admit this fact. We can sense it. Thankfully there is a way out of this broken reality, where there are so many problems. There is a doorway to a new place, a new heavens and earth where there is no war, no famine, no corruption. And Jesus Christ the savior of the world came into the world and told us all about it. There’s room for me, there’s room for you. Jesus said,”My Father’s house has many rooms; if that were not so, would I have told you that I am going there to prepare a place for you? So Jesus was crucified. He resurrected from the dead. And then he ascended to heaven. That was two thousand years ago. And at some point in the future Christ will return in the same way that he left. And His word says that every eye will see him. 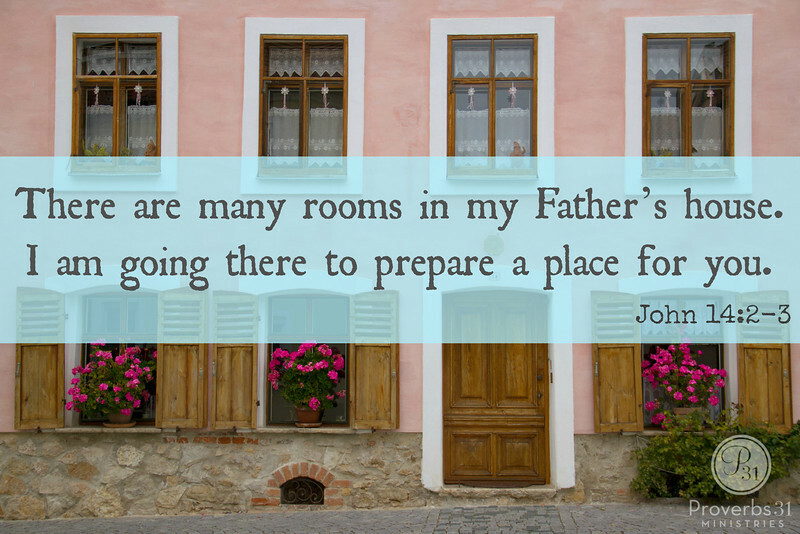 Jesus promises in John 14:2-4 that he left to prepare a place for us in this new world, and He will return to bring us there. Jesus will bring people from the east, like China, India, even North Korea, and people from the west, like Europe and us here in the United States, and the North and South, like Russia, the continent of Africa, and all across the planet. And it says in Luke chapter 13, verse 30 that the first will be last and the last will be first. I love that. What that means is that people who seem really important in this life won’t be the important ones in the next. Heaven is a real place. It’s a reality. God declares it in his word, so we should believe that it is true. Let’s consider the state of affairs. This is the future destiny of the human race. We’re really right now in a tangent reality destined for destruction. This fallen Earth we live on right now is a contingent reality, subject to change. If we could look at a timeline of humanity’s past, we’d see that humanity was created at it’s first phase as the centerpiece of a perfect universe, on a perfect Earth, in communion with a perfect heaven. In fact it says that on this perfect Earth, in Genesis, God himself walked among the garden of Eden where the first humans lived. The second phase begins when the fall event occurs. Humanity turns away from God, betrays god and tries to play god for themselves. This event is magnified from the choice of the first humans and it explodes outward, in what we know as the fall, the curse upon creation, and the Earth itself becomes fallen, the human heart becomes fallen, and this is the reality we live in now. Things are messed up, as a reaction to the first human’s attempt to play god and desire a world without god. Phase 3 could be seen as the victory of Christ at the cross and the spread of his church on the Earth. And the 4th phase begins when Jesus Christ returns to Earth to set all things right. Our enemy the fallen angel Satan is defeated at the return of Christ, the thousand year reign of Christ begins on Earth, and at the end of this 1000 year period, finally, the fallen earth passes away, and the new heavens and new earth are established. So our future destiny as a people is to live in a new, perfect Earth, in a perfect universe, once again communing with the perfect heaven, to live in the full presence of our glorious God. Phase 1, perfect, with a perfect Earth in the garden. Phase 2, the fall, which is where we are today, and Phase 3, Christ crucified, resurrected, and the revolution of the church spreads across Earth. 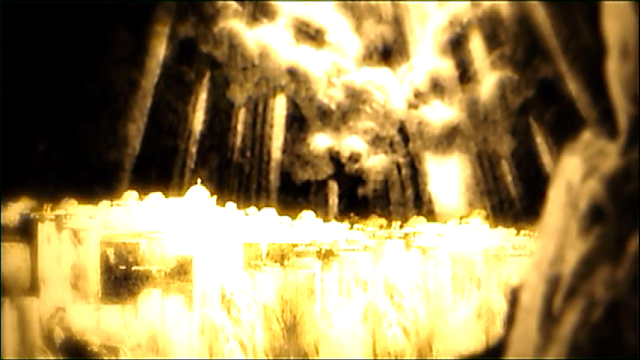 Phase 4, the new heavens and the new earth, our future home, forevermore. Heaven is for real. Will we be conscious? Yes we will. Will we be able to walk around and talk to people? Yes we will. Will I still be me and will you still be you? Yes, absolutely. In fact I’d argue your going to be more you than you are now. Because the sinful nature will be removed, and you’ll be able to truly be yourself without having to fight against constant sin and fear. I walk around in my life with so much anxiety, and so much fear, and uncertainty, and depression at times. I’m really looking forward to the fullness of joy and peace in the new world. Will we eat food? Yes we will, Revelation says we will eat the fruit of the tree of life. Will we have bodies? Yes we will, the Bible says we will have new immortal bodies. Though we may have a hard time recognizing one another, because we’ll all have the appearance of being probably about 25 years old. Will we see Jesus? Yes we will. He is the lamp of the eternal city. Will we see God the Father? Yes we will. We will see his face, it says. An incredible honor. Raise your hand if you’ve ever cried! NEVER AGAIN! Never once we are home. Raise your hand if you’ve ever had a loved one who died. NEVER AGAIN! Never once we are home. It says no more mourning. No more crying. Check this one out: No more pain. Thank you Lord. Thank you. There is so much pain in this life. I look forward to a time when there will no longer be any pain. Let’s talk about the new earth. 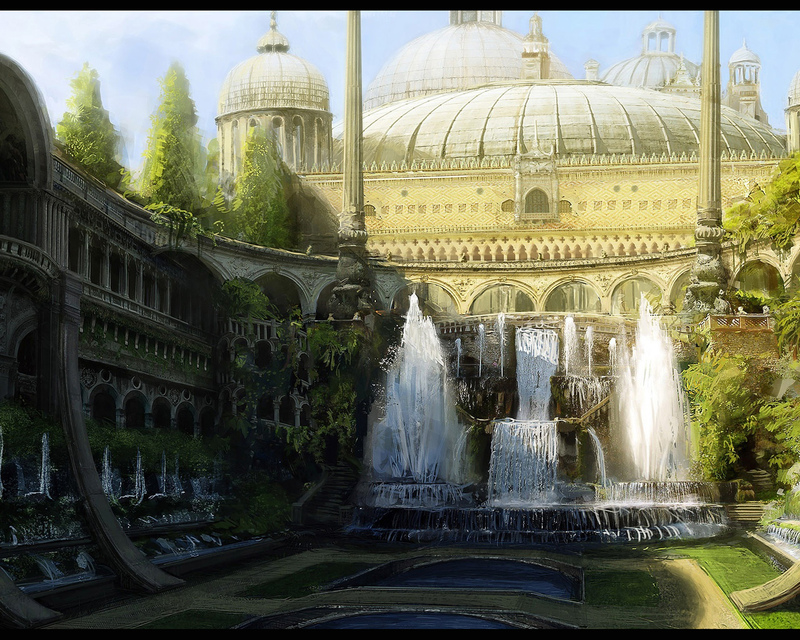 We find that the new earth is a place of beauty and glory. There is no need for a sun or moon, or stars, because God himself is the light of this new earth. I imagine we’ll have access to explore a beautiful planet Earth, with mountains, jungles, fields, valleys, and all the animals will not be afraid of us, but will walk up to us and enjoy being with us, as we enjoy being with God. We’ll ride lions, and sit with lambs. Birds will fly through the air and land on our shoulders. We’ll swim with the dolphins and ride upon the backs of whales. People sometimes make it sound like heaven will be boring. Heaven will not be boring. We will not run out of things to do. And the joy will never grow tiresome. Joy is infinite in it’s happiness, as multifaceted as life itself. Nature will amaze us, the glory of God will astonish us, and every moment will be a moment of worship, glory, grace, and goodness. We’ll live at peace with our family, the church of Christ. We’ll visit with family, friends, neighbors, feast, and talk, and dance and sing, and there will be no divisions, and no problems. It’s true. It’s real! The city itself shines with the glory of God. Brightly shining. Perhaps like the stars at night. Angels stand at the gates. And there is apparently a great street that runs through the center of the city. The throne of God, where God resides is literally in the city, and from His throne flows a river they call the water of life, as clear as crystal, down the middle of the great street in the city. And this river flows to the tree of life, which is at the center of the city. The metaphor is beautiful here. God almighty is on his throne, the river of water, sent by God, represents Jesus Christ, the water of life, and as we follow this river, it leads to the tree of life, eternal life. There is a heaven. It’s a real place. And there is a hell. This is also a real place. Those who have trusted in Christ Jesus will go to the eternal city, the new city of God, and those who have rejected Christ will go to hell, which is a place of darkness, disconnection from God. And God is absolutely just to send people to hell. Why? Because why should God invite people into his presence who have rejected him their whole lives. Hell is just a place without God. That’s what so many atheists and non-believers want, they want a world without God. That’s what hell is. The idea of hell terrifies me actually. I don’t want to be sent away from God. Which is why I try to do what is right, to trust in Christ, and to carry the gospel. I’d like to once again direct your attention to our primary imperative as the church of Christ: To deliver the gospel. The souls of people hang in the balance. I’d direct your attention to the fish on the altar. Will you be brave enough to carry the gospel to those in danger of hell? I believe you will. Because we must. I want to bring as many people as possible to this wonderful eternal city as I can. In Revelation 22 Jesus says to us today: “12 “Look, I am coming soon! My reward is with me, and I will give to each person according to what they have done. 13 I am the Alpha and the Omega, the First and the Last, the Beginning and the End. 14 “Blessed are those who wash their robes, that they may have the right to the tree of life and may go through the gates into the city.” Amen, come Lord Jesus!